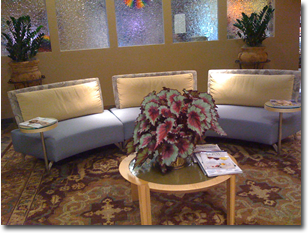 Hamilton Orchids and Interior Plants was established in 1984 in Marin County, California. Previously known as Nature's Calling, this company has placed the emphasis on service. Our skilled technicians care for our customer's plants ensuring a healthy and attractive look adding immensely to the decor. 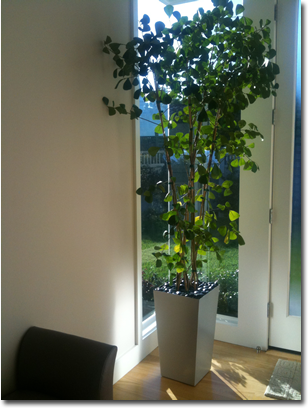 We have designed and installed many award winning interior plant projects. We are equipped to handle all aspects. We start with an initial consultation at the site where plants are desired. Then, working with the customer, we suggest what will be most effective selection considering such factors as: available light, space, texture, balance and temperature. 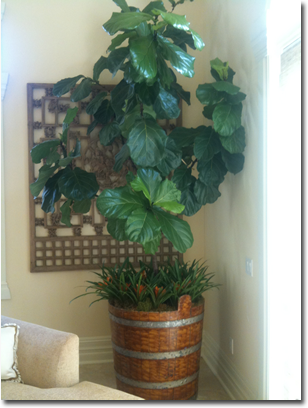 We take a look at the other furnishings and come up with the best use of plants. Such things as containers, baskets, ceramics are then considered to give the best overall look. A design is developed and a proposal is made available showing cost breakdowns and alternatives. The customer can choose from several leasing or purchase programs. 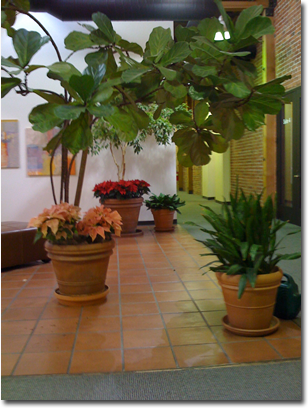 The indoor plant design can be maintained under our Guaranteed Plant Maintenance programs. We are happy to work with designers and can do material takeoffs on designer's plans or blueprints. Guaranteed Plant care weekly, monthly, or a one time visit. One of our specially trained plant care technicians will check your plants to ensure that they are in good condition, watered, dusted, trimmed, and fertilized as needed.